Home » Health » Oral Healthcare » How to Choose the Best Toothpaste for Gingivitis? A Toothpaste acts as an abrasive and helps you brush off plaque and bacteria from your teeth and gums. Toothpaste consisting of triclosan and other antiseptic substances are the best to treat gum diseases such as gingivitis. You must also know the general constituents in your toothpaste. Poor oral hygiene is the primary cause of gum disease. The best way in which you can have pristine gum conditions is to use good dentifrices. Dentifrices include a toothbrush, mouthwash, floss, and most importantly good toothpaste. Good antimicrobial toothpaste ensure pristine gum health and a sparkling set of 32 pearly whites. When your gums are ailing with infection and bacteria, some specific toothpaste may help. Dentists recommend the use of germ-fighting or antimicrobial toothpaste for cases of gum disease like gingivitis. Let’s review this piece for details on which toothpaste suits your ailing gums. How does a toothpaste help in gum disease? Toothpaste constitutes of abrasives, antiseptic agents, fluoride salts, and antibiotics. All of these constituents help your gums in some way. The culprit behind all gum diseases is plaque and tartar. Plaque is nothing but a film of saliva and bacteria covering your gums and teeth. Plaque is potentially harmless if you remove it in every 12 hours. But this plaque if left over your gums can increase the bacterial load and lead to gum disease or Gingivitis. When plaque calcifies to form tartar, it causes Periodontitis. On the other hand, Gingivitis is a reversible and mild form of gum disease. You can control and even cure gingivitis with the right toothpaste and mouthwash. The antiseptic and antimicrobial components in toothpaste are the elixir for Gingivitis. When you brush twice a day with an antimicrobial toothpaste, you promote bacterial clearing. Once, the load of bacteria decreases on your gums, and Gingivitis symptoms start fading away. Let’s review the signs which can help you identify Gingivitis. Which specific type of toothpaste combats gingivitis? The best toothpaste to combat gingivitis is the one that contains triclosan. Triclosan is a potent antimicrobial agent and helps you fight gingivitis. Therefore, you should always go for toothpaste which contains soothing oils like tea tree and eucalyptus with a hint of triclosan. Antiseptics like alcohol, peppermint, and tea tree oil soothe the inflamed gums and slowly decrease the symptoms. The abrasives in the toothpaste scrub away the plaque and debris. The antimicrobial agent does the main cure by reducing the bacterial load on the gums. The detergents help your toothpaste foam and wash away the debris. Sodium lauryl sulfate, a detergent, often leads to canker sores and allergies. The abrasive action of toothpaste is necessary to remove plaque and tartar buildup. Silica is a common abrasive found in toothpaste. Over-zealous brushing and overuse of toothpaste can cause tooth sensitivity due to these abrasives. Binding agents like carrageenans, xantham gums, and alginates are present in any standard toothpaste. Humectants retain moisture in toothpaste and prevent desiccation when left for long. Preservatives in toothpaste prevent bacterial growth. Children often get attracted to colorful products. Hence, coloring agents are present for good marketing. Antiseptics are the man constituent of toothpaste because of which it helps cure gum problems. Antiseptics like tea tree oil, alcohol, and peppermint are commonly present in toothpaste. Fluoride salts of sodium and magnesium are present in anti-cavity toothpaste. Fluoride is a potent anti-cavity agent. 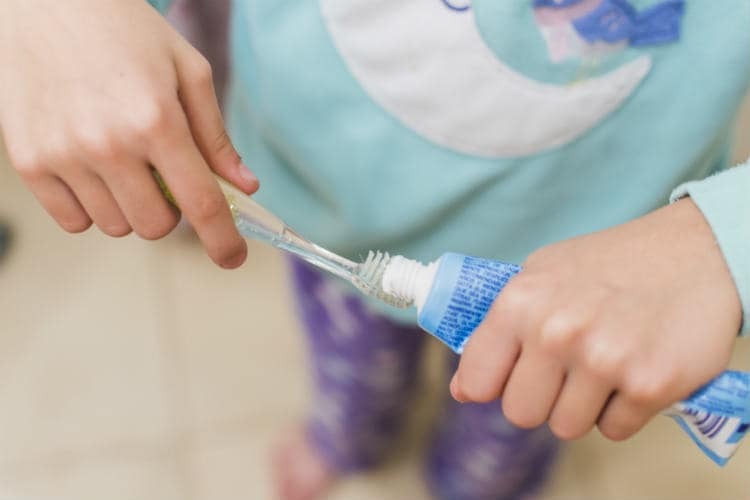 Triclosan present in toothpaste is responsible for its antibiotic or antimicrobial effect. Antimicrobial toothpaste is the one that are the best ones that help you combat gum diseases. Brushing every twelve hourly is the best to maintain pristine gum health. You should use medium to soft bristle toothbrush and antimicrobial toothpaste for this. Toothbrushing is the easiest and most inexpensive way to deal with gum problems. The gums between our teeth are the weakest. Hence, flossing once a day between your teeth keeps the interdental gums healthy. An excellent antimicrobial mouthwash once a day should be your go-to solution for gingivitis. It gives an extended coverage time to your gums to combat plaque. Last but not the least, visiting your dentist once every 3 to 4 months is an excellent way to maintain good oral health. Good gum health helps you keep your teeth intact for long. Gums riddled with infection or bleeding gums is not a pretty sight. Hence you should know how to choose proper dental care products, like a good toothpaste, to cure gingivitis. Antimicrobial and anti-septic toothpaste is the best to combat gum problems like gingivitis. The constituents of this type of toothpaste are multipurpose. They soothe the swollen gums as well as reduce plaque. So, now you know what to choose when your gums hurt you. 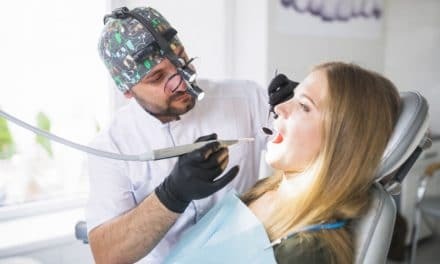 PreviousSingle Tooth Implant – When Should You Go for It?